Earlier we reviewed the EatingWell Morroccan Inspired Chicken and it was pretty good, so we decided to try some of their other meals. 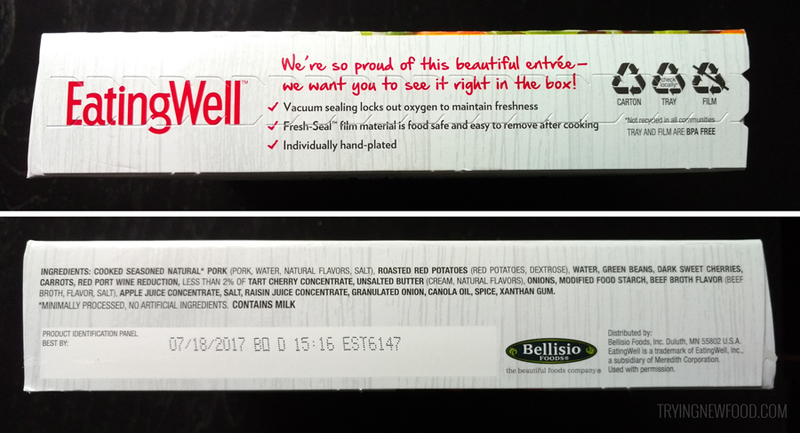 All of the EatingWell boxes stand out because of their vacuum-packed contents that are visible through the cutout in the front. I love how easy it is to prepare. Just remove it from the box and put it straight in the microwave — no dealing with peeling back the top or poking any holes. Everything is divided up, so you have the option to keep your food separated, or enjoy it all mixed together. This ended up being my absolute favorite meal out of all the different meals from various brands I have tried so far. It’s extremely delicious, with interesting flavors and textures to make every bite amazing. The best part for me is that it’s only 280 calories, even though it feels like I’ve treated myself to a huge dinner. 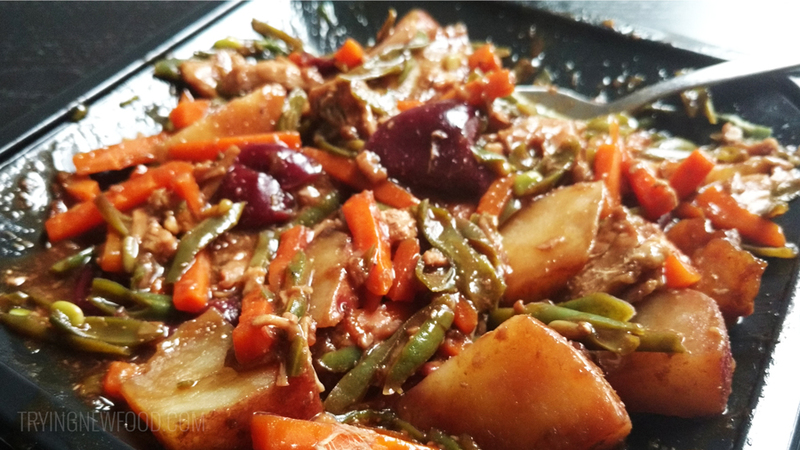 So far, I’m pretty impressed with these EatingWell Frozen Entrées. 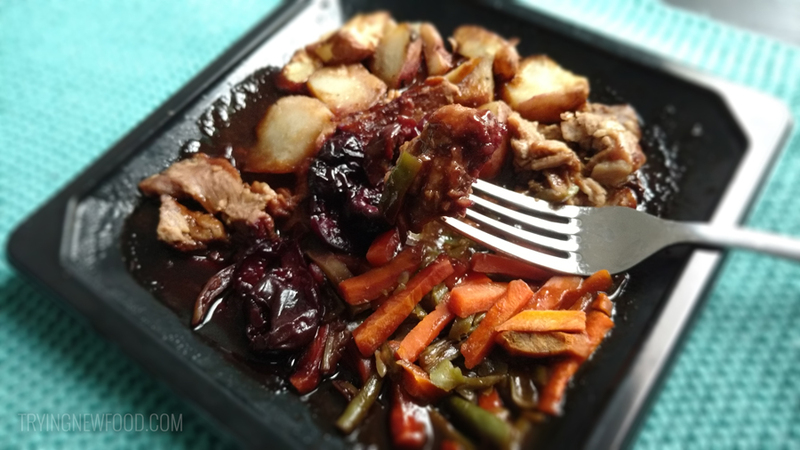 The sweet cherry port sauce is comparable to a quality restaurant recipe…you’ll want to try it again and again.